It's a short one about a cool feature in VS 2013. 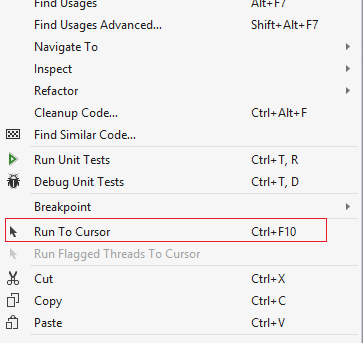 While editing your code you can right click and choose 'Run to Cursor'. It will compile your solution, run the app and stop on the line of code where you've clicked 'Run to Cursor'. It will not create a permanent breakpoint. You can also use 'CTRL + F10'.